Contact: Tammi Flynn, M.S., R.D. Gold’s Gym of Wenatchee is a privately-owned franchise facility based 150 miles outside of Seattle, WA. Their mission is for Wenatchee to be the fittest city in America and to accomplish that mission, Gold’s has teamed with local businesses and medical facilities to offer unique programs such as the all-encompassing 6 month wellness program specifically geared toward people with diabetes and the 12 Week Challenge that kicks off each January. The club has earned a number of awards including the “Best Body Transformation” by Gold’s Gym International and they have piloted unique programs that have been featured on Network TV across the country. The club averages about 400 member visits each day and up to 900 during peak seasons. Tammi Flynn, M.S. R.D. purchased the Body Gem device two years ago after seeing the device demonstrated at the American Dietetic Association convention. As a Registered Dietitian, Tammi saw an immediate value in providing metabolic measurements to clients interested in managing their weight and improving overall fitness. This year alone, Tammi and her team at Gold’s have performed hundreds of measurements on clients who participate in the 12 week fitness challenge. Over 650 people enrolled in the 2003 12 week fitness program and 371 successfully completed the program. The group lost a total of 6,500 pounds of fat and each client averaged a total weight loss of 17 pounds. 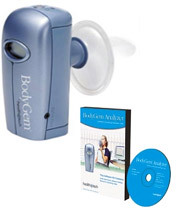 Well over half had their metabolism measured with Microlife’s BodyGem device. Tammi has also had non-members from all over the Seattle area come in to have their metabolism measured. Providing an accurate calorie budget allows her clients to understand their unique needs and achieve their goals more easily. The facility averages about 10 metabolic measurements a week during non-peak seasons and up to 10 a day during busier seasons. Gold’s Gym of Wenatchee charged $54 for a measurement and $81 for a nutrition consultation. 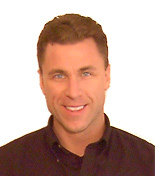 *Profits not included for new personal training and nutrition consultation sign-ups. Gold’s of Wenatchee’s unique programs have resulted in hundreds of success stories. One-third of the participants enrolled in the Diabetes Challenge program were able to stop their medication as a result of reduction in body fat and overall weight. Jason M. lost 30.2% body fat, 84.9 pounds of fat, gained 25.4 pounds of lean muscle and lost 25 total inches.